The first step is to arrange an initial consultation with you to see the garden, discuss any ideas you have, look at the possibilities and limitations of the site, and understand your maintenance requirements and budget. At this time, I can also talk you through the steps involved in the garden design process and answer any questions you have, after which you will receive a summary of the brief, a quote for design fees, and standard terms and conditions. If you would like to go ahead, then the next step is to arrange a time to survey the garden and discuss the brief in more detail. The first thing will be to get an accurate survey of the garden – preferably on a day when it’s not raining! This will include house boundaries, levels, drains, manholes etc. If the garden is large or has many levels, a professional surveyor may need to be commissioned to undertake this work. A site assessment will note things that influence the design such as soil type, aspect, views from the garden, neighbouring trees as well as any existing features that need to be retained, enhanced or hidden. Drawn up to scale, the survey will form a base upon which a design can develop. At the time of the survey, we will discuss the brief in more detail, using images of gardens, planting styles and hard landscaping materials to facilitate discussion of things you would like to include and, just as importantly, things you don’t. Any images you have will be especially useful at this stage. If you are also embarking on significant changes to your house, then this is the best time to look at the architect plans to see how best to link the garden with the changes planned inside. With the brief discussed, I then go away, put the base survey on my drawing board and start to work up some ideas, returning in a couple of weeks or so to discuss the potential layout with you. 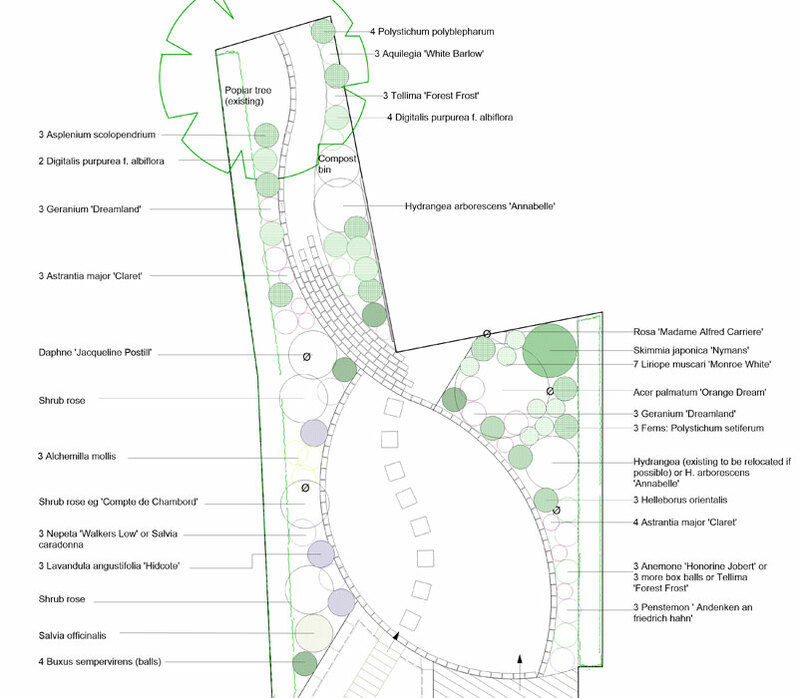 Supporting images and some nice photos of plants that will work in the scheme are used to convey how the garden could look. Once we reach agreement on an outline plan, the garden design is drawn up as a detailed garden layout plan and a separate planting plan. 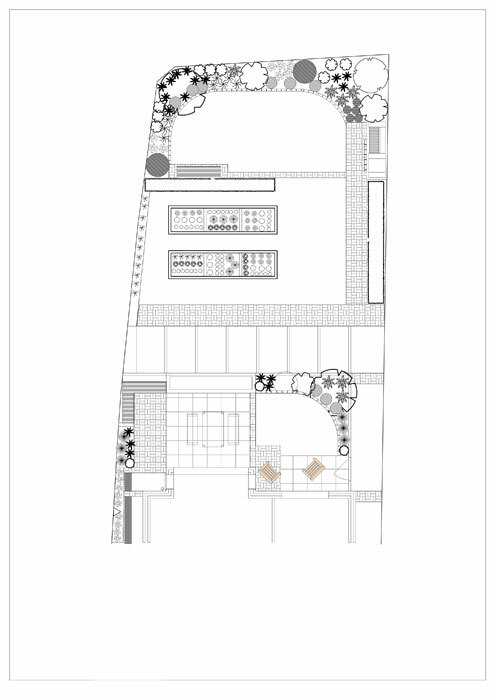 This is a scaled, annotated drawing showing the layout in plan form, indicating all the elements of the garden such as paving, paths, paving patterns, lawns, planting, boundaries, raised beds, changes in level and key trees. 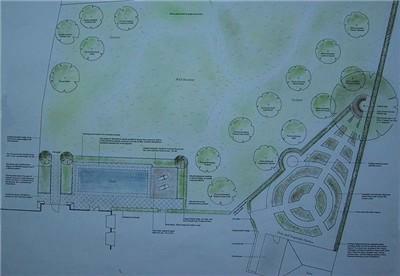 The layout plan is suitable for sending out to a landscape contractor to price the work and build the garden. Sometimes its helpful to include 3D sketches to convey how the garden will look. These can be either hand or computer drawn. At this stage there are a number of options: you may wish to do the work yourself or arrange for a landscape contractor to construct the garden. I can help with this process by putting the work out to tender on your behalf, and oversee the project through to completion. This will involve arranging quotes from one or more landscape companies, meeting the contractors on site to talk through the proposals and producing any specification documents and marking out diagrams as required. On site project monitoring will include site visits at marking out stage and during construction to ensure the plan is being followed accurately. A planting plan is drawn to scale and shows the plant names and locations at which they should be planted. Once the build is complete, I or the landscaper, can arrange for the supply of the plants, position and plant them. Or if you are really keen we can do the planting together! 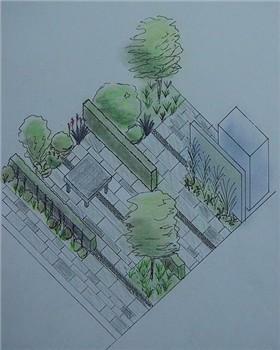 Planting plans can also be quoted for separately if your garden is already landscaped.